A New Understanding of "God Wants All Men to Be Saved"
The parable of the shepherd seeking the lost sheep and the parable of the return of the prodigal son told by the Lord Jesus in the Bible deeply impress us. The Lord’s compassion, mercy, tolerance, and forgiveness allow us to feel His dearness and loveliness. The Bible says: “The Lord is not slack concerning his promise, as some men count slackness; but is long-suffering to us-ward, not willing that any should perish, but that all should come to repentance” (2 Peter 3:9). Many people firmly believe that the Lord will save all men and not forsake a single one of us when He returns in the last days. 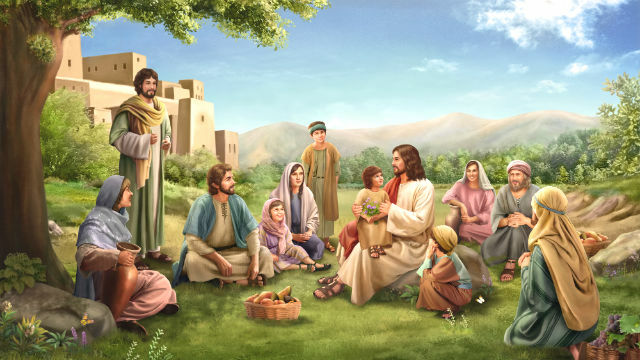 However, when Almighty God has come in the last days to do His work, The Church of Almighty God only preaches His gospel to those who have good humanity and who sincerely believe in God. So some people develop a notion: God is love, and He wants every person to be saved and does not want anyone to perish; so why do you believers in Almighty God not preach the gospel to all men but only to good people? Regarding this question, let us seek and fellowship together. It is an exemplification of God’s love that He wants all men to be saved, and does not want anyone to perish. However, God loves man and saves man based on principles. For example, when God was going to destroy the world using a flood, Noah listened to God’s words and built the ark according to His requirements, and he also went around to warn other people about the flood, however, others didn’t listen to him nor did they care about it. Therefore, when the floodwaters arrived, only Noah and the seven members of his family were on the ark and saved, while all those who didn’t believe God’s words and slandered and ridiculed Noah drowned. Another example is the people in the cities of Sodom and Gomorrah. They all lived in sins all day long and were so evil and filthy that God couldn’t bear to witness it. Thereupon, God rained down sulfur and fire from heaven to burn away everything within both the cities. In the end, only Lot, who didn’t follow them in doing evil, and his two daughters survived. Here is a third example. In the Age of Grace when the Lord Jesus came to do the work of redemption, though He expressed His disposition of mercy and love, He didn’t save all kinds of men, such as the Jewish Pharisees. Though they were familiar with the Scriptures, they used their own conceptions and imaginations to define the Lord Jesus’ work. For the sake of protecting their own status and livelihoods, not only did they blaspheme and judge the Lord Jesus, but they also fabricated rumors and nailed Him to a cross. Ultimately, they were punished and cursed by God. So was Judas who betrayed the Lord. 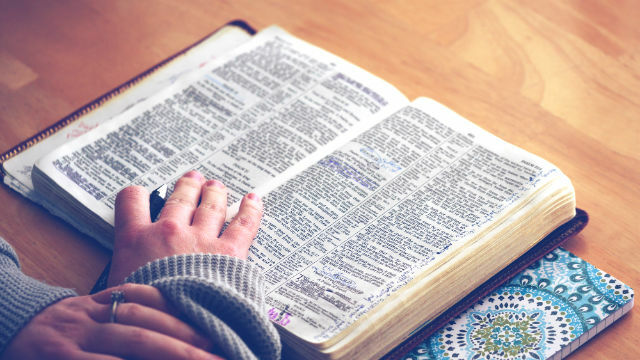 Whereas those who sought God’s new work with humility and listened to God’s words carefully, such as Peter, John, Jacob, and other disciples of the Lord Jesus, all came to know the Lord Jesus from His words and work, followed Him and received His salvation. These facts have proved that only those who love the truth, listen to God’s words, and obey God are the ones whom God saves, while those who resist God and blaspheme God are the object of God’s curse and punishment. From this, we realize that though God is love, in His love there are not merely mercy, tolerance, and forgiveness, but also righteousness and majesty. God’s love is principled, and not a confused kind of love. From the words of the Lord Jesus and Almighty God, we see this: In the last days God is doing the work of reaping and selecting, and will then do the work of punishing the evil and rewarding the good. Through the judgment and chastisement of God’s words, the wheat and the tares, the true believers and the false believers, the sheep and the goats, the good servants and the evil servants, and the wise virgins and the foolish virgins—all are separated, each to their own kind. If God didn’t work this way, those false believers who believe in God only for their personal benefit and grace, and those evil servants who control believers and prevent them from turning back before God, couldn’t be separated out. God is holy, so is God’s kingdom. How could it be possible for God to bring into His kingdom His enemies—those who don’t belong to Him, such as chaff, tares, and evil servants? If God saved everyone according to our imaginations, how could the work of rewarding the good and punishing the evil and putting each with their own kind in the last days thus proceed? So our imaginations don’t conform to the truth. From this, we know that “all men” God intends to save mainly refers to living people with a heart and spirit, those who can recognize God’s voice and can understand spiritual things. These people are wise virgins. After hearing God’s voice, they can let go of their own conceptions and imaginations and accept and submit to God’s work. Such people truly seek the truth and thirst for God’s appearance: They are “all men” God wants to save. As this kind of people truly want God and are willing to accept the truth, they can gain the truth and life and be purified and perfected by God when experiencing God’s work of judgment and chastisement. God saves people to the utmost. As long as we love the truth, truly want God, can recognize God’s voice, and belong to God, God will save all of us and not forsake a single one of us. Being believers who pursue the truth, in the face of God’s work, we should have a yearning and seeking heart, pay attention to seeking the truth, and see things according to God’s words, instead of holding on to our conceptions and imaginations. Just as the Lord Jesus said: “Blessed are the poor in spirit: for theirs is the kingdom of heaven” (Matthew 5:3). “Blessed are the pure in heart: for they shall see God” (Matthew 5:8).